On a very personal level, Brunello Flake is one of my favorite tobaccos. From every angle, this blend is just sublime. Every single puff of this Italian tobacco is laced with the flavor it was infused with. When I was finally able to light up this blend, I was transported to a fantasy land of decadency. If you enjoy sitting back, filling up a glass of bourbon, and pulling out one of your favorite pipes, then this blend is perfect for you as well. Read through this blog, then order your own tin of Brunello flake, and decide if you like it as much as I do. First and foremost, there are two practical aspects to this blend that I just can’t ignore: 1) in most cases this blend is only sold in a 100g tin, and 2) for an imported flake, this is a very affordable tin that any smoker can afford. This pressed tobacco is made up of a few different components, or a least these are the leafs they have decided to acknowledge in the description. The main component is a bright Virginia leaf, one that has an uncanny citrus flavor. The next leaf is a cool burning Burley tobacco, one that is key to keeping this flavor intense when let. And lastly Macedonian leaf is put in to add just the touch of exotic flavor every top-notch tobacco needs. When you pop the tin, you are hit in the face with a sweet, tangy, and citrus smell. 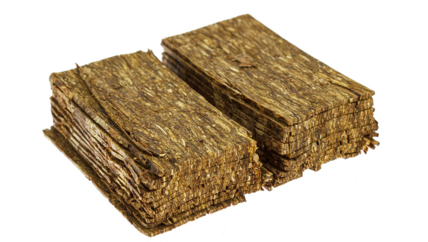 The tobacco is one of the most structured and well made flakes I have ever seen. A perfect moisture level, thick diameter, and easily rubbed out, you will be hard pressed to find a better flake. As I hinted at earlier, this flake is easy to rub out and packs into the pipe very well. Even though the moisture level is perfect for the flavor, it does make it difficult to light. But that is one of my few knocks against this Italian blend. The flavor immediately rushes to the front of your palate on your first hit. For me, there was a much more prominent citrus flavor than sweet or tangy, even though I could still taste it. The feeling I got when smoking reminded me of sipping on a warm cup of apple cider in the winter. Not that it tasted like that, it just evoked the same feelings of warmth. Perhaps the most magical aspect of the blend is that while it is moist and has rushes of flavor, there is absolutely no bite. This tobacco can be smoked all day long with no consequences. 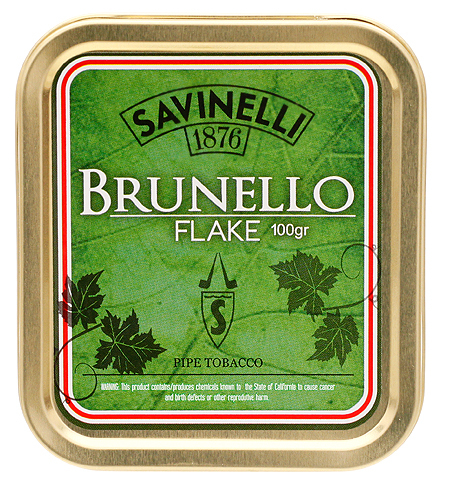 Brunello Flake tobacco is probably as good of a smelling tobacco as you can get that is not classified as an aromatic. You would swear that this blend has some form of golden Cavendish, or has a sweet topping. But it doesn’t. This makes is an exceptional choice for smoking indoors or around friends and family. This is actually a difficult choice. Traditionally, citrus flavored drinks don’t go well with smoking (just think of gulping down orange juice with a smokers tongue). After some experimentation, I believe that a traditional Tom Collins is the best drink for Brunello Flake. Overall, this blend is tame. While it tastes amazing, has a great note, and is a proud blend, it is not an overtly tough tobacco to smoke. Brunello Flake is most definitely a mild/medium bodied tobacco. With enough flavor for esteemed smokers, but tame enough for the novice, this flake has a wide audience. I will understand if many of you don’t love this tobacco as much as I do. I mean it is a tangy citrus tobacco, which some smokers sport a great disliking towards. 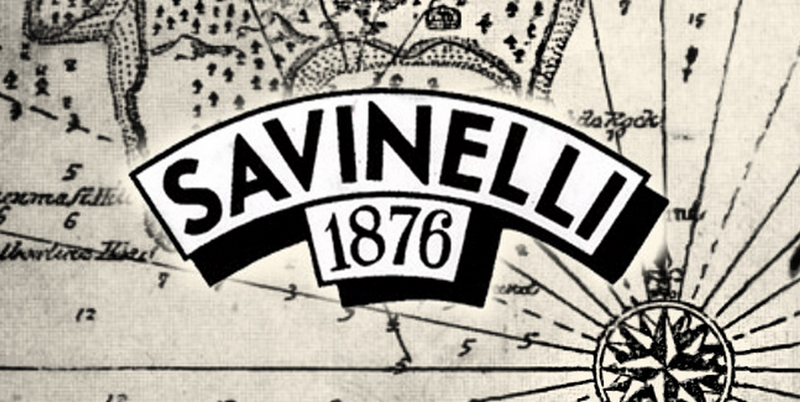 But I challenge you to smoke it for what it is and applaud Savinelli for achieving what they set out to blend, a superior tangy blend. I give Savinelli’s Brunello Flake a score of 8 out of 10. Order your tin today, from a great site like TobaccoPipes.com and form your own opinion on this blend! Images provided by Laudisi, Savinelli, an TobaccoPipes.com. Very nice review, Will. I can’t find a ReBlog button on your site, though. If you’d liek to add one, I’ll reblog on DadsPipes. There should be one near the top. I went the old Drag & Drop route with links back to your post page – right before I spotted the Press This button. Next time. Keep the reviews coming! Great work. No problem at all. Happy Holidays! While I enjoy my Savinelli pipes, I hadn’t thought to check out their pipe tobacco, since I don’t hear many people talking about their blends. This sounds like a good one to check out. Thanks for shining a light on this one, and hope you have a great Holiday! I wish you the same! While I have yet to comment, I want you to know that I have thoroughly enjoyed many of you blogs as well 🙂 I should start commenting! Thank you, your blogging actually inspired me to start writing my own experiences, so I’m glad to hear you enjoy them! 🙂 I’ll be updating it more once I finish my current writing project. Keep up the great work! It humbles me to hear this. Thank you. Excellent review. Now I have to buy some. Thanks for writing this Chris. Brunello Flake is pretty much my favorite tobacco blend ever (at least of the ones I’ve tried). Thanks Renia! It’s actually one of my favorites as well. Probably a top 5 unaged tobacco for me. Excellent review of a great tobacco. I got a free tin when I purchased a pipe and have since purchased several more. Have a great day! Thank you Adrien. I am glad to hear that you enjoyed it.